Paul (Robert Redford) and Corie (Jane Fonda) just got married and are about to move into their new apartment. Corie is excited about it, even if there are some drawbacks with the place they got, while Paul just sees the flaws – like the walk up five flights of stairs – and nothing else. And with a strange neighbor in Victor Velasco (Charles Boyer) who sometimes uses their apartment to get to his, and with Corie’s mather Ethel (Mildred Natwick) joining them for a few days, their marriage is under a lot of pressure very soon. 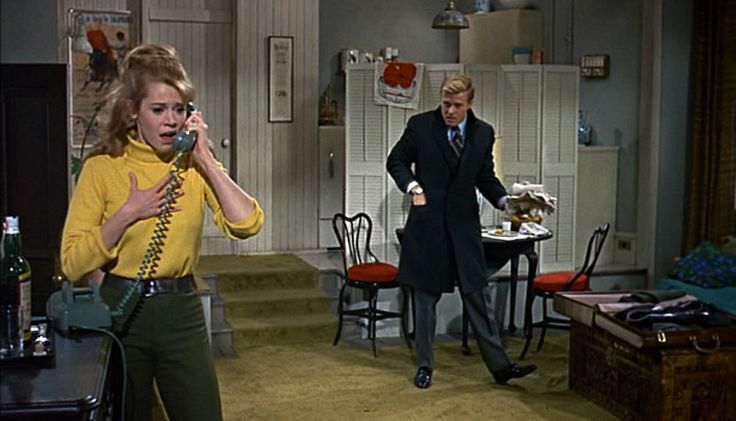 Barefoot in the Park is not a great film and it didn’t age well in all respects, but it is a rather entertaining screwball comedy. It feels unbelievable that the film is just fifty years old. The 60s weren’t that long ago and yet there are so many things about the film that simply aren’t palpable anymore from today’s point of view. The fact alone that Paul and Corie never lived together and that Paul didn’t even bother to look at the apartment because Corie is the homemaker, so it’s only fair that she’s the homechooser as well – it all boggles the mind a little bit. I had to remind myself a lot about the time this was made. Still there is a certain charm about the film, a sense of warmth and fun that I have to attribute pretty much entirely to Jane Fonda. She really carries this film. Her Corie is such a vivacious and vivid presence, every second spent with her is enjoyable and wonderfully entertaining. It’s no surprise that Paul would fall for her (the other way around is a little more difficult to understand). The film moves at a good pace and it never feels long or boring. Even when more than one thing is really very obvious in how it develops and what will happen. But as long as the story still works, that’s not necessarily a bad thing. And it does work, even if it didn’t blow me away or will burn itself into my memory forever. I enjoyed myself. Summarizing: Despite some misgivings, it’s fun. 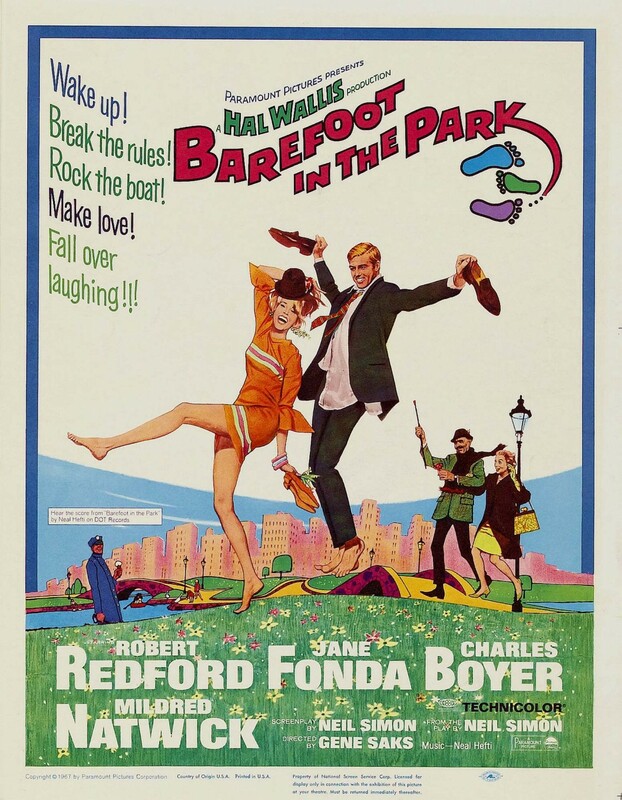 This entry was posted in movies and tagged 1967, Barefoot in the Park, Charles Boyer, Gene Saks, Herb Edelman, Jane Fonda, Mabel Albertson, Mildred Natwick, Neil Simon, Robert Redford by kalafudra. Bookmark the permalink.